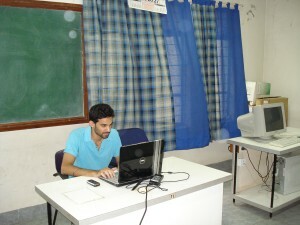 The Center is primarily a learning facility and has a resource room for conducting hands-on training and presentations. It has 120 computers with minimum PIV configuration for students and 2 servers. The Center has state of the art hardware and software to meet the needs of students of Management. 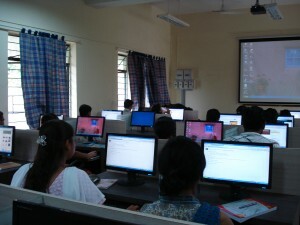 The computer lab in-charge organizes training on commonly used software packages and databases. There is separate Language Lab for language training for a capacity of 30 students. Students are given hands-on training on ERP systems under the SAP University Alliance Programme. A separate portal for the Alumni is maintained to address the needs of the Alumni and encourage their participation in the development of the Institute. 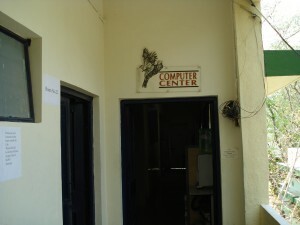 The office, the faculty rooms, the library and the computer center are networked. The lab has a 2 MBPS leased line connection for Internet access. Internet access is available to the students via LAN and Wi-Fi connection on campus for 12 hours a day. The Computer Center at IMDR is responsible for all IT services on campus. It is primarily a learning facility and has a resource room for conducting hands-on training and presentations. It has 120 computers with minimum P IV configuration for students and 2 servers. The Centre has state of the art hardware and software to meet the needs of students of Management. 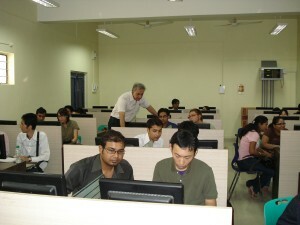 The computer lab in-charge organises training on commonly used software packages and databases. There is a separate Language Lab for language training for a capacity of 30 students. Students are given hands-on training on ERP systems under the SAP University Alliance Programme. connection for Internet access. Internet access is available to the students via LAN and Wi-Fi connection on campus for 10 hours a day.